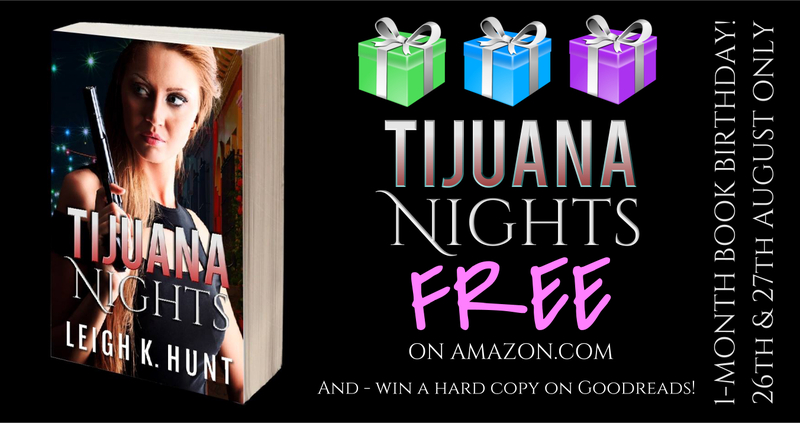 Posts TIJUANA NIGHTS – FREE – 1 month book birthday! TIJUANA NIGHTS – FREE – 1 month book birthday! As promised in my last post – TIJUANA NIGHTS is FREE on Amazon.com for only two days only, so you’ll have to get in super fast. My gift to you! So, if you want to read this book that I’ve poured a lot of energy into – you can download it. As always – I would love reviews, and feedback too! And of course – if you want to tell all of your friends and family about it I would be forever grateful. This fast paced action thriller is the first stand-alone novel in The Nights Series, which all have a little suspense and romance thrown into the mix. If you like good action adventure books, with leading teams of characters, and exotic locations – then these are the books for you. Also, add to the book to your Goodreads pile, and also throw yourself into the draw to win a hard copy through Goodreads as well! Previous ArticleLONDON DUSK – FREE – Celebrating 1 Month Book Birthday!